There are a few recipes that stand the test of time. 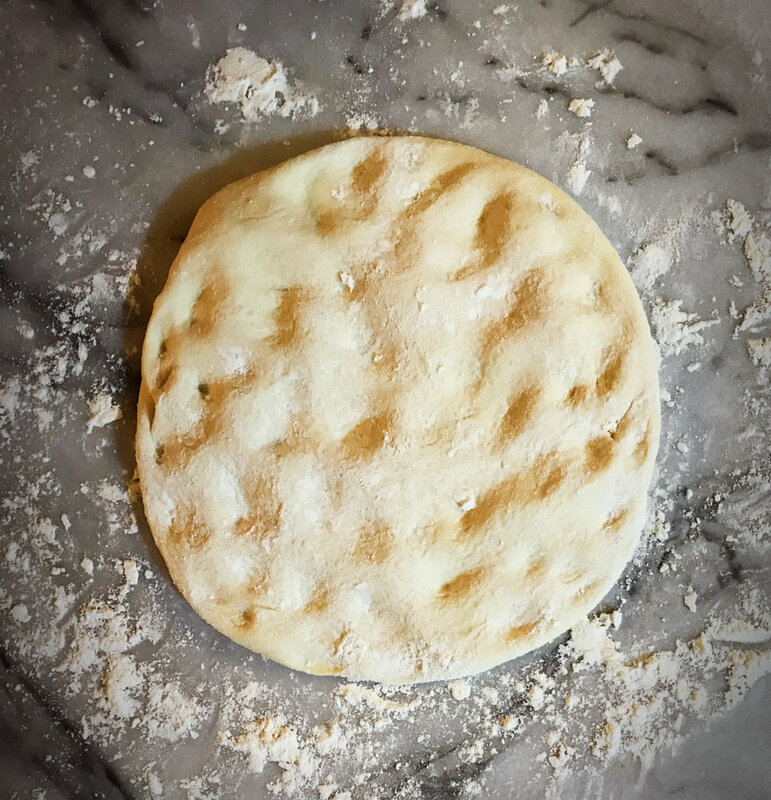 This Williams-Sonoma pizza dough recipe is a great example of a recipe that never lets me down. I use it for pizza, calzones, grilled bread, and fried dough. I know those last two may seem weird- next time I make these I’ll post it! As with any recipe, I’ve evolved the original just slightly. Over the years, I have replaced some of the original flour with semolina. I’ve found that the addition of semolina flour gives the dough a bit better shape and texture. Here at Chez Honest Spoon, we make a lot of fresh pasta so I have semolina on hand at all times. If you don't have it at home, you can use all white unbleached flour as the original recipe calls for. No Biggie. This dough takes very little time to come together. The time is in the rise. You can’t really avoid that part!! I usually make dough on the weekend. I make the dough, then set it up for rise before I leave to run errands. On the other hand, I have often times made it during the week. I will prep and raise the dough and pop it in the fridge to use the next day. Then, I separate the dough into four parts (like below) and place each individual ball into a slightly oiled Ziploc bag. When I get home from work, I take the dough out and place it on the counter to come to room temp. By the time I have the toppings ready for pizza, I start the oven for preheat and get the pizzas going. The timing works out just fine. The last time my Mom came up from CA for a visit, she brought me a few pizza screens…..and O. M. G. - GAME CHANGER!!! If you often make pizza at home I really cannot recommend these more. PRO TIP: spray the screens with a non stick cooking spray and place the dough gently onto them. You do not want to press the dough in- you’ll be needing a spatula to remove them. It took me a couple tries before I got the gist of it. If you do it correctly, the cooked pizzas slide right off! At any rate, I really prefer these to a pizza stone. The screen allows air to circulate and you get a nice crisp crust underneath. ALSO- with the screen you can grill pizza directly on the grill (yesssssss!!!!!!). 1. In the bowl of a stand mixer, dissolve the yeast in warm water. Let sit until foamy (about 5 minutes). 2. Add the flours, salt, sugar and oil. 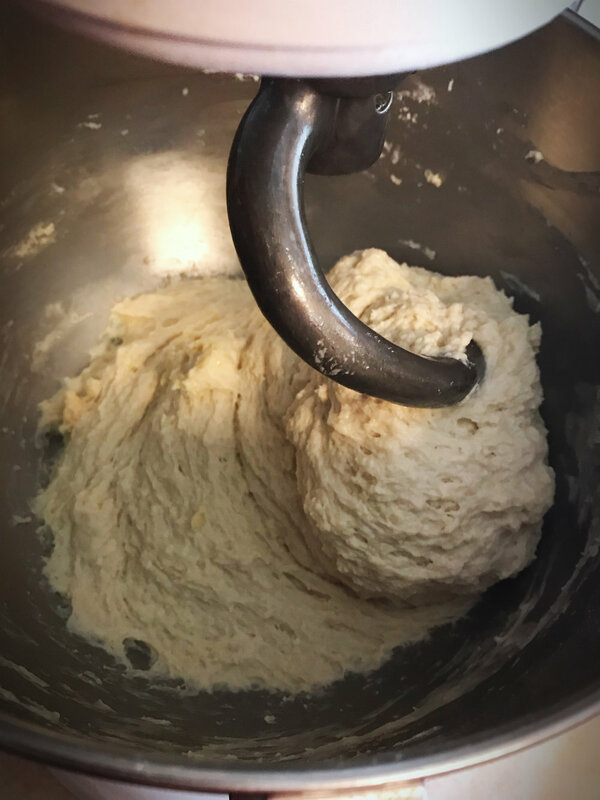 With the dough hook, knead on low until the dough is smooth and elastic (about 8 minutes). 3. While mixing, add up to one additional cup of semolina or unbleached white flour to the side of the bowl to keep it from sticking. 4 Remove the dough, form it into a ball, and place it into a lightly oiled bowl. Cover the bowl and let the dough rise for 60-90 minutes in a warm draft free spot. 5. Remove the dough from the bowl and place it on a floured work surface. 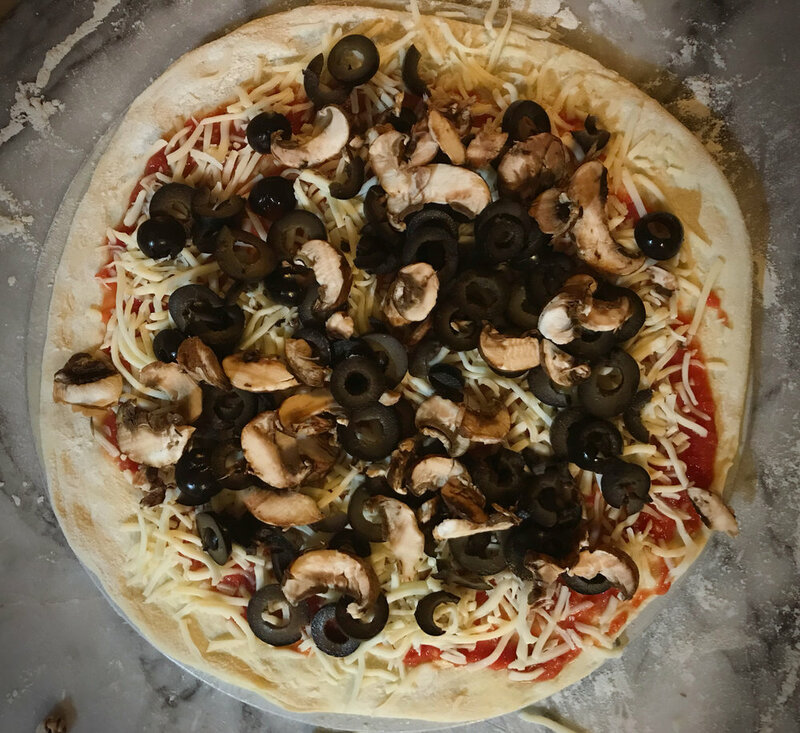 Divide the dough into four parts and shape into balls. Cover loosely with a kitchen towel and let the dough rest up to 30 minutes, but no less than 10. 6. Pre-Heat the oven to 500 degrees, Generously spray pizza screens with non stick cooking spray. Shape the dough into flat rough disks ad transfer to the screens. 7. Top with topping of choice, bake for 15-18 minutes. -place two peeled garlic cloves in a food processer and mince. -Add one strained 14oz can of stewed/ diced tomatoes. -Add a teaspoon of salt, a tablespoon of extra virgin olive oil, and puree.